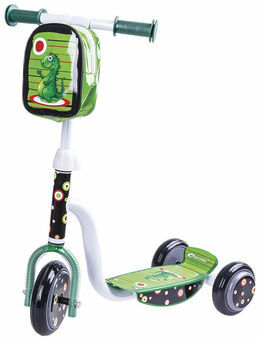 Spokey Scooter Dinno has a metal construction - use of a metal ensures stability and durability. With a built lamp child is not only more visible on the road but also has a lot of extra fun while driving. Scooter designed for children 2 years of age and under 20 kg.